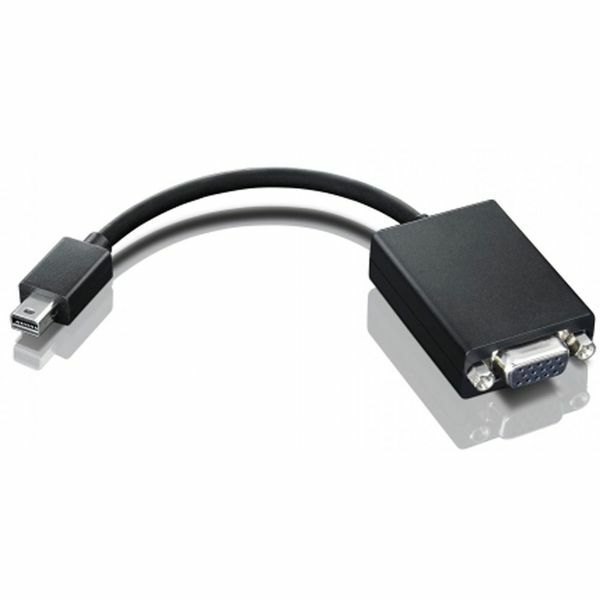 The mini-DisplayPort interface is a miniaturized version of the popular DisplayPort digital display interface. The mini-DisplayPort to VGA adapter (0A36536) provides the best sleek compatibility experience as it seamlessly enables interoperability with existing analog projectors and displays. The mini-DisplayPort to VGA adapter is compliant with the DisplayPort 1.1a standard which supports up to 5.4 Gbps bandwidth over 2 lanes.